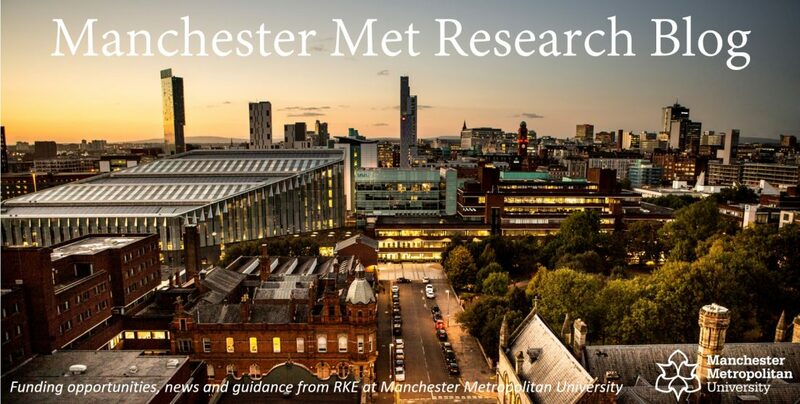 The Wellcome Trust will be visiting Manchester Met on Wednesday 14th September, to present to an audience of researchers across the University. The presenters from the Trust will be Dr Candace Hassall and Thomas Bray. The Wellcome Trust primarily funds research in bio-medical science and healthcare disciplines. However, the Trust also supports health research across humanities and social sciences. The aim of the event will be to gain a deeper understanding of the Trust as a funder. It will also provide an opportunity to network with staff from other disciplines. Morning (2.5 hours) 10am to 12.30pm – open to all interested researchers. 10am – arrival, registration, refreshments. 10:30am – overview of Wellcome Trust grant schemes and priorities; more detailed discussion of Seed Awards; time for questions; short talk by Professor Richard Greene. Lunch 12:30 to 1:30 – networking lunch open to all staff. Afternoon (2 hours) 1:30pm to 3:30pm – invited researchers only. General overview of collaborative awards; discussion with invited groups of senior researchers developing collaborative awards; facilitate discussion within groups with feedback provided by the Wellcome Trust. Please select which session you would like to attend. Those of you selecting the Afternoon session will be contacted by the RKE Office to ensure you are currently developing a collaborative award proposal and that this session is appropriate for you. Categories: Events, Funder Intelligence and Policy, Guidance, Researchers | Tags: biomedical research, Collaboration, Wellcome Trust | Permalink. The National Heritage Memorial Fund require a supplier to produce a research report into innovation and current approaches to UK grant making, comparisons across other funders processes, and gathering an evidence base showing where HLF fits into this picture. Warwick District Council is commissioning consultants to undertake services in relation to measuring the quality of the Councils Green spaces which is essential in determining the current status of green space and to enable future planning of any improvements. The quality assessment will determine those green spaces that have the greatest deficiencies in quality and will identify those reasons why these green spaces have scored poorly but will also help to inform how this could be addressed. Bradford Metropolitan District Council is looking to appoint a Consultant/Researcher to understand the impact of the residents of the district, when the Discretionary Scheme was abolished in March 2015. Does the new scheme meet the needs of the residents and what amendments may be required to the current scheme? What could be the reasons for the low take up and what are people doing instead of applying for the loan? Are there any impacts of the low take up that may be affecting debt levels, homelessness and crime? A report will be required along with an executive summary, methodology statement, an evidence based Appendix and a presentation of your research findings. Time To Shine are looking for a delivery partner to help us gain a better understanding of how many older learning disabled people are experiencing social isolation in Leeds. What are the barriers are for them in developing meaningful social relationships and how they would like to tackle their isolation and loneliness? Categories: Funding Opportunities, Tender | Permalink. Arts Council Wales require a research report into the feasibility of a Theatre Producers’ Hub in Wales. Arts Council England require an external evaluator to deliver a programme-level evaluation of the Arts Council Collection National Partners programme. Each partner will conduct a small amount of data gathering and evaluation activity locally and so the successful supplier will work with the national partners to develop a consistent approach to collecting data on audiences to the Arts Council Collection. The supplier will also be required to conduct primary research. The successful supplier will need to design a programme level evaluation framework and bring primary and secondary data together under this framework in order to report annually on how the programme is or is not progressing towards its aims. The Arts and Humanities Research Council invites applications for its creative economy highlight notice under the follow-on funding for impact and engagement scheme. The aim of this call is to encourage applications exploring innovative ways of enhancing engagement and maximising opportunities for impact with the creative economy. Applicants must demonstrate how significant economic, social, cultural or policy impacts for the creative economy will be delivered. Proposals must be based on either previous or current research directly funded by the AHRC, or supported by the Digital R&D fund for Arts in England, Wales or Scotland. Funding supports knowledge exchange, public engagement, dissemination and commercialisation activities that arose during the lifespan of a project but were not foreseen in the initial application. Grants are worth up to £200,000 over a maximum period of 18 months. Smaller grants of up to £30,000 may be awarded for shorter or higher risk activities. Deadline for applications: 27 October. For more information, please visit the AHRC. For support on your proposal, please contact Research Development. Categories: Funding Opportunities, Impact and Engagement, Researchers | Tags: AHRC, Creative industries, Engagement, Impact | Permalink. Come and hack some of the most exclusive data and insights in football, and help MCFC understand player performance in brand new ways. By opening up previously unavailable data and APIs, MCFC are inviting you to create new insight, innovation, visualisations and products. MCFC will give access to incredibly detailed match data, featuring in-match events, player performance and detailed biometric tracking. The material sourced is cutting edge and unfiltered. Meaning you’ll have the best possible information and tools available to you. There will be an early release of the data to successful registrants a couple of weeks before the hack. Mentors and SME’s will also be available pre-event. You will also have access to behind the scenes performance analysis systems, training facilities and biometric technologies. In return, MCFC are looking for highly skilled people who love solving problems and finding opportunities, who have curiosity, enthusiasm and drive. You might also love data, football and technology and not necessarily in that order! Located at the City Football Academy on the Etihad Campus, the hack is completely free and there’s a cash prize fund available to the Judges to award for the best team, idea or approach. Participants may also be offered work experience/mentoring with CFG at CFG’s discretion. Great performance food and drink will be provided throughout the weekend. You will be encouraged to stay over the weekend if you would like to and various accommodation options will be available. Food, drink and Accommodation will be provided free of charge. Application Deadline: 10am on Monday 11th July. Successful applicants will be informed by Friday 5th July 2016. 30% of places will been reserved for students and young participants, so please also encourage your students to apply as well as yourself! Digital innovation experts and event supplier, Play, will run a prototyping workshop for anyone new to hacks and help them pick up new skills in an incredibly dynamic environment. Categories: Events, Researchers, Uncategorized | Tags: Data Analysis, hack, MCFC, performance, Sport, sport performance, sport science | Permalink. The British Academy Sustainable Development Programme, open to UK researchers, will provide grants to interdisciplinary, policy-oriented UK research, aimed at addressing the UN’s 2030 Agenda for Sustainable Development and advancing the UK’s Aid Strategy. The Programme will fund the evidence that will inform the policies and interventions that will improve people’s lives in fragile, conflict-affected states, or in developing countries. provide the evidence and insights needed to enable policymakers to design and implement effective interventions in developing countries. The Sustainable Development Programme will fund approximately 15 research projects of up to 16 months in duration, with the maximum funding for each project at £360,000. For more information, please visit British Academy. For support on your application, please contact Research Development. Categories: Funding Opportunities, Researchers | Tags: British Academy, Sustainability | Permalink. Tourism Northern Ireland would like to commission a study comprising of, primarily, qualitative research but includes an element requiring a quantitative approach, interviewing overseas and domestic visitors within the key primary experiences areas across the developing NI Brand Experience.